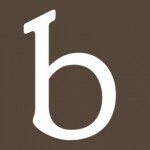 Bakepedia is the Baker's Resource. At Bakepedia we love everything having to do with baking and desserts. We feature original and curated recipes, an ever-expanding multimedia encyclopedia and a social network. Our motto is “Helping Bakers Succeed,” so whether you are a beginner just branching out from boxed brownies or an expert looking for more inspiration, we want to welcome you to our community. We want to present an engaging atmosphere that fosters interaction amongst users as well as with our editorial staff and visiting baking professionals. Salty, sweet, crunchy and oh-so addictive. Twenty-two cups of popcorn might seem like a lot, but trust us, this goes fast. The hour in the oven creates that extra firm and dry coating on the popcorn, which allows it to store for a longer period of time – if you can keep from gobbling it….. The Joy of Jams, Jellies, and Other Sweet Preserves Recipe © 2013 by Linda Ziedrich and used by permission of The Harvard Common Press This preserve of puréed pears is simple to make and simply delicious. I’ve made it with Bartlett pears, Seckel pears and even Asian pears, and it’s always a delight. Pear jam is…..
© Jenny McCoy’s Desserts for Every Season by Jenny McCoy, Rizzoli New York, 2013. Image © Pernille Penderson. Chef Paul Kahan of Chicago’s Blackbird introduced me to my first taste of buckwheat honey. My initial instinct was to spit it out – my 20-year-old palate was not ready for this very distinct flavor. But over that autumn…..
© Jenny McCoy’s Desserts for Every Season by Jenny McCoy, Rizzoli New York, 2013. Image © Pernille Penderson. I became a strudel connoisseur during a trip to Vienna with my mother. Every morning began with a strong kaffee and a strudel. The afternoon snack included another kaffee and a strudel. And, of course, each evening….. While a simple whipped cream is a thing of beauty, it is also a basic recipe with which we can create many flavor variations. Pastry chefs add liqueurs to whipped cream all the time, but it is not as typical to find a softly whipped cream flavored with an extract other than vanilla – but…..
Photo by Mollie Katzen From The Heart of the Plate: Vegetarian Recipes for a New Generation. Recipes, photographs and illustrations by Mollie Katzen, A Rux Martin Book, Houghton Mifflin Harcourt, 2013. Baking lemon-laced pears in a sturdy, slightly crunchy cornmeal-pine nut crust, crowned with a beautiful lattice top, might well become your new tradition. The loving care you invest in…..
Desserts in Jars are Easy to Make and Easy to Serve Pumpkin desserts abound throughout the fall and winter and cheesecake is a perennial favorite, so its no surprise that pumpkin cheesecake recipes are adored. This version is portable, which we really like because we can have it anytime, anywhere. This recipe is from Shaina….. Image courtesy of Bakepedia This pie pastry recipe is used frequently throughout Ken Haedrich’s book, Pie, because it yields such excellent results. He sometimes calls it a half-and-half pastry, referring to the equal amounts of vegetable shortening and butter—the former for flakiness, the latter for flavor. It can be made in a food processor if you have…..
Ken writes: A reporter from a large Illinois newspaper asked me if I thought the current caramel apple pie craze had anything to do with the resurgence of pie making in this country. I was clueless about the caramel apple pie craze, but I launched into a dazzling answer, as if I had been personally….. Recipe © 2013 by Shirley Fan and used by permission of The Harvard Common Press These rich, buttery cherry crumble bars have the perfect combination of sweet, tart and salty qualities. Instead of using a shortbread base, I use oats to give the bars some extra texture, heft and flavor. Individually wrapped or packed in….. This version of clarified butter comes from The Model Bakery Cookbook (Chronicle, 2013). It is featured in their English Muffins, but feel free to use it anytime you need it for other recipes as well. Butter is a great cooking medium with one major drawback—its milk solids burn easily. Clarifying the butter is an easy….. These English muffins are from The Model Bakery Cookbook (Chronicle, 2013) by Karen Mitchell and Sarah Mitchell Hansen, written with Rick Rodgers. We interviewed Rick and when asked for one recipe he thought we should bring to our community, he didn’t miss a beat. He said these were incredible, and they are. Be prepared to….. Recipe © 2013 by Kathy Strahs and used by permission of The Harvard Common Press. This is worth screaming from the rooftops: You can make ice cream cones with your Panini press! Easily! With no special ingredients! And they’re really, really good! Get ready for your inner child to leap with joy once that familiar…..
Of all of her desserts, Emily Luchetti is most proud of her summer pudding. While she likes to tweak and improve most recipes, she says this one stands the test of time. It originally appeared in her book, Classic Stars Desserts: Favorite Recipes (Chronicle Books, 2006), and she has so generously shared it with the Bakepedia community…..